Yes, I turned it on it’s side! The various layers of designer papers were distressed and inked. The second layer of designer paper has been stamped with a Verve image using the rock ‘n roll technique. If you haven’t tried it, it’s very easy…simply ink your stamp with a lighter shade of ink and then touch the edges with a darker shade of ink. I love this cool look! The fan-shaped piece of paper has been distressed by wetting it, then crumpling it and folding it into a fan shape before drying it with my heat gun. Then it was wrapped with some twine and I also glued a button on top. I used one of my favorite tools ever on my buttons…a button-shank remover. Cuts the back off so you can glue the buttons down very easily. 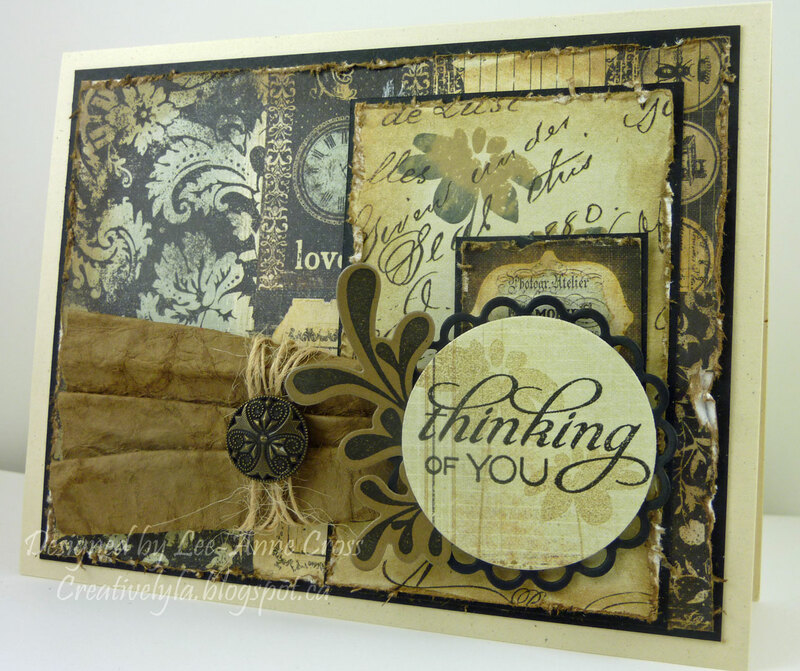 A stamped leafy sprig has been placed between the layers of the sentiment piece for a little more interest. And I stamped off the same image used on the mid-sized rectangle before stamping it on the designer paper behind the sentiment. And there you have it! Whoo hoo! 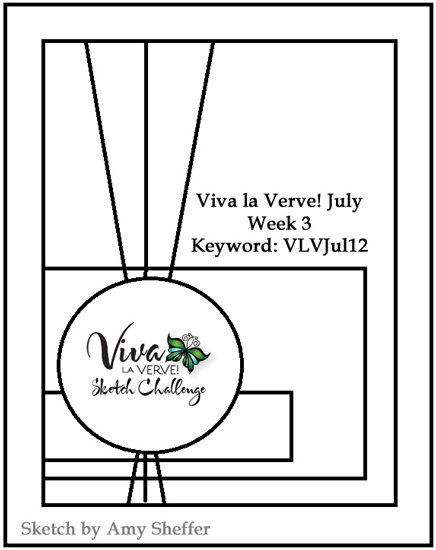 My July Verve sketches are now complete! This is just stunning. Love the distressed layers.